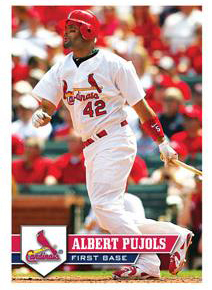 The unofficial gateway product to baseball cards returns as Topps is bringing back baseball stickers. 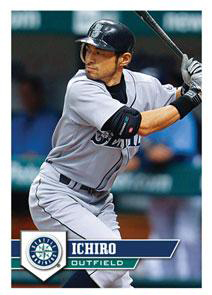 2011 MLB Sticker Collection promises to bring collecting to a simpler time where the only inserts were glimmering "shinies." The checklist offers a generous mix of current stars, a handful of legends and classic team logo cards on glorious shiny foil. 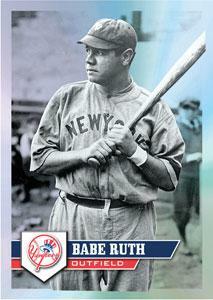 Base set configuration: 270 current stars, nine legends on foil backing, 30 foil team logos (two per card). Each team is represented with a page in the sticker album. Album highlights nine players on each team and includes player names and basic stats. Six stickers included with each album. Although it is an nice form for kids to collect, a site should also make available where one can purchase those two or three missing stickers that one may need to complete their book.